The measured peak shape and intensity of the photoemitted signal in X-ray photoelectron spectroscopy (XPS) experiments (elastic and inelastic parts included) are strongly correlated, through electron-transport theory, with the depth distribution of photoelectron emitters within the analyzed surface. This is the basis of so-called XPS peak-shape analysis (also known as the Tougaard method) for non-destructive determination of compositional in-depth (up to 6–8 nm) profiles. This review describes the theoretical basis and reliability of this procedure for quantifying amounts and distributions of material within a surface. 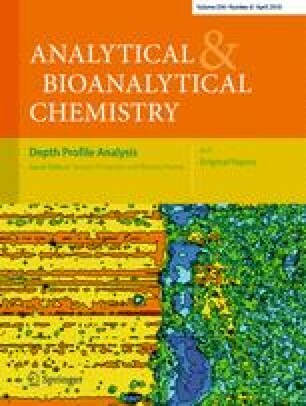 The possibilities of this kind of analysis are illustrated with several case examples related to the study of the initial steps of thin-film growth and the modifications induced in polymer surfaces after plasma treatments. Photoemitted spectra and in-depth concentration profiles (blue: oxygen; orange: carbon), obtained by means of XPS peak shape analysis, of a PET plasma activated surface. The shown topography corresponds to an atomic force microscopy image of the treated surface. We thank the Ministry of Science and Education of Spain (projects MAT2007-65764 and Consolider Funcoat CSD2008-00023) and the Junta de Andalucía (projects TEP2275 and P07-FQM-03298) for financial support.